"With John Darnielle's songwriting, I'm always forced to break out of that style and mindset to adapt to his chord structures and rhythmic patterns." Jon Wurster is an exceptionally busy guy. He's the drummer for the Mountain Goats, Superchunk and for Bob Mould's band. He's played with Katy Perry on at least one occasion. He's also something of a cult figure in the comedy world, thanks to his work on the long-running comedy radio talk show The Best Show with Tom Scharpling. Wurster's weekly call-in characters range from Philly Boy Roy (the blithely crass and heavily accented Mayor of Newbridge), to Roland "The Gorch" Gorchnik (the real inspiration for The Fonz), to Darren From Work, Scharpling's high-strung co-worker at the (made-up) Consolidated Cardboard. 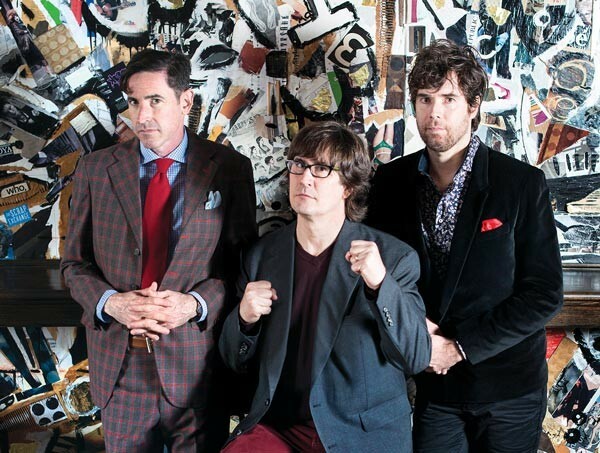 Wurster, in town next Thursday, with the Mountain Goats, carved out some time to talk with City Paper. The new Mountain Goats record, Beat the Champ, was inspired by John Darnielle's childhood obsession with pro wrestling. Is that something you were into as well? As a kid I was really into it, probably from like 8 to 12. John grew up on the West Coast and he would go to see matches in Los Angeles. I don't know any of those wrestlers, the ones who are name-checked in those songs. I grew up around Philadelphia — [those wrestlers] weren't part of the shows I watched. So it was interesting to learn about these guys and see that they did make such a huge impact on John when he was a kid. You've said that you've learned more about drumming in Mountain Goats than in any other band. I've been playing in rock bands since I was about 14 or so, but it's always been a rock band. You play rock songs and it's pretty simple ... you're playing rock beats. 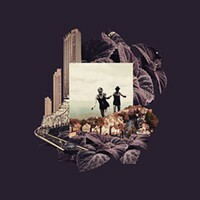 But with [Darnielle's] songwriting, I'm always forced to break out of that style and mindset to adapt to his chord structures and rhythmic patterns I almost end up playing like a jazz drummer, or having to explore drum patterns or percussive ideas that I normally would not have really contemplated. Those first several Superchunk years were pretty narrowly focused, you've said. How did you become a person who is always doing a million different things? It's kind of what I'd always hoped I'd be doing. I always loved playing with different people. It's funny how it's worked out, I get to play with Superchunk still and Bob Mould and the Mountain Goats and other things keep coming up, and I just love doing it. I'm so lucky that I've fallen into this role and this place in life, and I still get to do my comedy with Tom ... having no family really helps. [Laughs] I'm just constantly going from one to the other, over and over, for the rest of my life, I would imagine. Or an emotional roller coaster? Was there anything that, listening again, made you cringe? I should state that Tom and I never look back on any of this stuff, so we'd forgotten about 70 percent of the calls. And the few that we remembered being home runs, we listened to ... and didn't think they were that funny. We were thinking "Oh my God, is this a huge mistake?" [Laughs] It's like hearing it for the first time because you made this call in 2006 and you have no memory of it. So you're listening to it like anyone else listens to it, and it kind of stands on its own merit, not really tainted by any kind of memory. [But] there were a number that we had no memory of that we really liked, so that was an exciting aspect of it. Do you have a favorite call- in character? I really love Darren From Work. I love him because he's such a blank slate and you can put him in [any situation]. What's been the most surreal moment of your career so far? Maybe my first show with Bob Mould. I was on a Mountain Goats tour, [it's] 2008, and we were just ending, we had two days left. 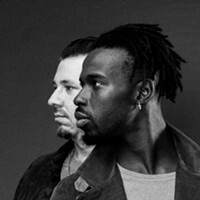 [Mould's bassist] called and said that their drummer was not working out, and could I fly to L.A. in two or three days to join the tour in progress. I said, "You know, I think I can do this." I flew out there, we went to sound check the next day, and then later that night I'm playing on stage an actual show with Bob Mould, with no rehearsal. While you were playing did you have that moment of like, "Whoa, how did I get here?" Oh, totally. And those are the moments you live for, really. Like, "What am I doing at this restaurant with Peter Buck and Benicio Del Toro and Little Steven?" That once happened, in 2002. That sounds like some kind of weird dream. Yeah! And those are the moments you want to look back on when you're on your deathbed.